Nationwide (BlackNews.com) — A powerful multi-part limited documentary series, Proving Innocence: Kevin Keith vs. The State of Ohio, examines alarming new evidence in a 24-year-old capital murder case where a possible police cover up framed an innocent black man. (Watch the trailer at www.justiceforkevinkeith.org). The explosive, new docu-series produced by Tent City Productions is currently in production and is gaining support by several black celebrities and political figures around the nation. The story will be covered on the controversial radio show The Breakfast Club with Charlemagne da God on Monday May, 21st, 2018. Proving Innocence spotlights the 1994 trial and conviction of Kevin Keith, a black man found guilty of murder in Bucyrus, Ohio. The verdict, and death penalty recommendation by the jury, came despite what his defense team claims to be a complete lack of physical evidence and having at least four witnesses who attest to Keiths whereabouts as being more than 30 minutes away from the crime scene at the time. Since that day in court, Keith’s brother, Charles, has dedicated his entire life to proving Keiths innocence. He’s spent years educating himself on the judicial system and uncovering the truths behind what really happened. In 2010, only thirteen days before his impending execution, new evidence found by Charles Keith and Public Defender Rachel Troutman, presented to then-Governor Ted Strickland convinced him to grant clemency, taking Keith off death row and reducing his sentence to life in prison. 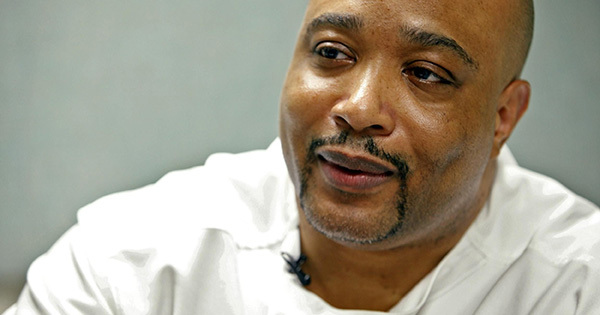 Since then, Charles has learned that there is even more shocking evidence that he believes will get his brothers murder conviction overturned. “The victims are not helped or honored, if the wrong person is punished for the crime,” said Ted Strickland, former Governor of Ohio. The U.S. Supreme Court Justices are currently reviewing Keith’s initial trial, as well as the new evidence put forth by his defense team. They are expected to make a decision as to whether or not Keith will be granted a re-trial on May 29th, 2018. Founded by Emmy award winning Producers, Lori Rothschild Ansaldi and Lisa Bourgoujian, Tent City Productions specializes in unscripted true crime and historical documentaries for all of the major broadcast, cable and digital networks throughout the world. While both have a roster of credits in all fields including lifestyle, reality, competition-elimination, and documentary, their recent breakout hits THE CORONER: I SPEAK FOR THE DEAD, MURDER BOOK, DEADLY WIVES, KILLER CONFESSIONS and DIABOLICAL WOMEN have put them at the top of the true crime game. Tent City is owned by FremantleMedia North America, bringing true crime to the media giant’s already massive content portfolio.